As a bath lover it makes sense that I’m a little bit of a Lush addict. Admittedly I was a little late to the party, in terms of obsession, having drifted away from it for many years. But I’m back to my old lover, and it’s better than ever. 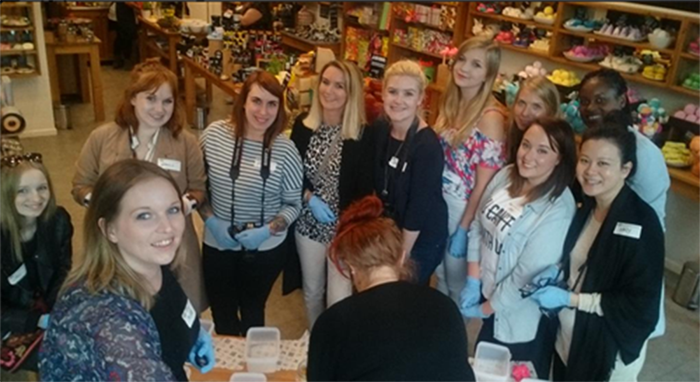 Last week I was kindly invited to spend an evening with the team at Lush Southampton, along with a few of my favourite girls for an night of smellies, fruit and bubble bar crafting, all in the name of Lush Summer 2015. All the ingredients for our fruit cocktails and drinks were in the Lush products, as they pride themselves on many natural ingredients. 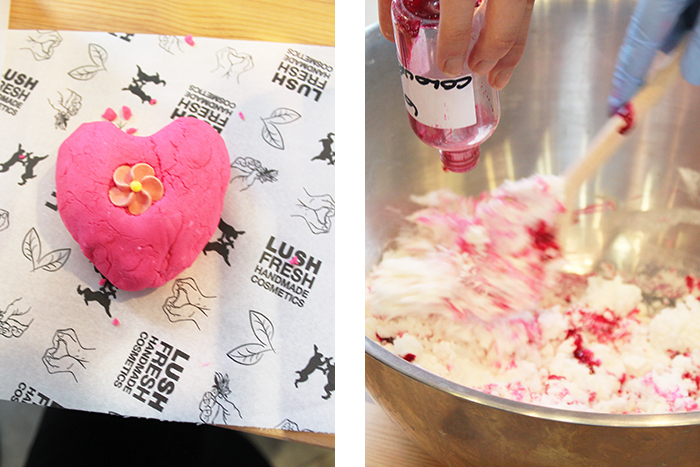 Probably the highlight for everyone was learning how Lush create their infamous bubble bars. All are hand-made in their factories and shipped out to over 100 stores in the UK. The team in Southampton made up a small batch of Creamy Candy, and whilst it sat to rise, we had a little explore of the new products. Once the mix was ready, we all got the chance to shape our own! I went for a little heart shaped one! Cute right! Wait to set for 24 hours and jobs a goodun. I’m actually yet to use it at the point of writing this, but I love Creamy Candy* and its oh so sweet smell so I know this will be a heavenly bath time treat. And last but by no means least… the goodies. Of course I had to buy a few bits for myself, to top up some of my absolute favourites, including Brightside. The Comforter Shower Gel and The Experimenter. All in all, spoilt completely rotten! We had such an amazing evening, filled with lots of laughter. And we all came away with the always amazing products from Lush. 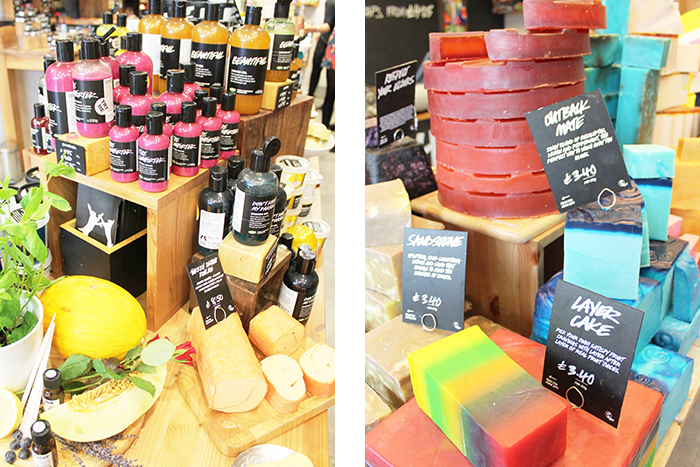 You can keep up to date with all of Lush’s products on their Twitter and Instagram, and follow Lush Southampton if you’re in the area on their own Twitter and Instagram. So over to you? What are you eyeing up for your own collection? Check out all the products as I test them over on my instagram here! "LIFESTYLE: Super easy 3 ingredient recipes for a quick treat"